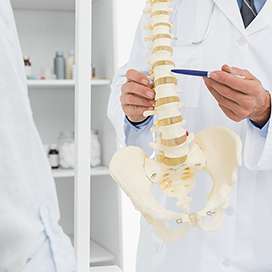 At Woods Chiropractic PC, we provide the necessary treatment to help people recover from chiropractic injuries and pain. People will attempt to shoulder the burden of back or neck pain without seeking professional treatment. In other cases, patients will rely on over-the-counter medication that only masks the pain or immediately seek surgery when it is unnecessary. Fortunately, there are multiple chiropractic treatment techniques that we can use to help you recover. We will customize the treatment to your needs in order to enhance the recovery process. There is no reason to continue letting your pain hinder your quality of life. Our team provides quality care from the moment patients walk in the door to any follow-up care that becomes necessary. Our team has the skills and expertise to help patients recover from an injury and continue to prevent that injury from flaring up in the future. Our team will also help the patient learn specific stretches and exercises to complete at home in order to promote a faster recovery. We understand how difficult it can be to live with a chiropractic issue and not always know the specific cause. Thus, we will identify the source of the pain and customize the treatment to help relieve your pain and help you live life to the fullest. We utilize various chiropractic techniques in order to treat your condition. The overall goal is to help you receive the treatment you need to feel relief while also continuing to live life without the pain that brings you into our practice. Thus, we offer patients non-surgical back pain treatment, sciatica pain treatment, pain management, work injury treatment, scoliosis treatment, auto injury treatment, herniated disc treatment, spinal adjustment, pinched nerve treatment, health habit counseling, nutritional counseling, whiplash treatment, acupuncture and more. We act as a massage therapist, spinal pain specialist, family chiropractor and a wellness center. We will help customize the treatment to meet your needs. Reach out to us for more information. After calling us to schedule an appointment, we will need to gather information on your medical history, current condition, insurance, allergies and any other information we may need to know. Once we gather this information, we will conduct an examination and determine the most effective treatment for your needs. By customizing the treatment, we can help you receive the necessary care to return to your regular routine. In many cases, the treatment plan will require you to perform certain exercises or stretches at home. By completing these techniques at home, you can help to speed up the process. We will work with you every step of the rehabilitation process, so call us today. At Woods Chiropractic we take our time and listen to what is going on with you and your body. Our office has over 14 years of experience in chiropractic care. We specialize in relieving and easing headaches, neck pains and back problems related to the spine with chiropractic care. At Woods Chiropractic, Dr. Woods blends his personal experience, extensive education and enthusiasm for proper health care. The result is a courteous, attentive practice dedicated to helping your body heal. 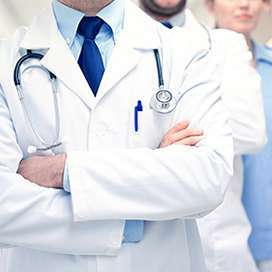 • Medical-Legal Services: Our years of experience with personal injury cases, close working relationship with attorneys and legal specialists, expert medical reporting and narrative reports help provide settlements more quickly and favorably.